In a world that seems so overwhelmed with divisiveness, the making + sharing of tea is a magical salve that can nourish our souls and relationships. Like most best friends, our friendship sparked because we had so much in common — the same exact interests, dreams, and even favorite quote. In many ways it felt like we were twins, raised in different countries. One of the unique passions we share is that for tea. Despite coming from different cultures, we both grew up in families that observed afternoon tea time. In addition to providing a myriad of health benefits, tea has a powerful ability to bring people together which is why the making and sharing of tea has held a special place in cultures across the world for centuries. Tea holds a special place in our lives because of the way it nurtures the body, and because of the opportunity it presents to connect with self and others. In a world that moves so quickly, and seems so overwhelmed with divisiveness, the making and sharing of tea is a magical salve that can nourish our souls and relationships. We believe so completely in the magic of tea that we became Certified Tea Sommeliers, so that we can help others experience the mighty power in those tiny leaves. Here are a few reasons why a cup of tea and some conversation is good medicine for the body, mind, and soul. Tea has been used for centuries to support health and wellbeing. Antioxidants have been shown to help reduce the risk of heart disease, which makes antioxidant-rich white and green tea excellent allies of good health. Herbal tea blends combine heavy-hitters from nature’s medicine cabinet with free radical-fighting tea leaves so that they can provide intentional support to the body and its many functions. For example, herbs like chamomile can help promote relaxation, peppermint and ginger root help support digestion, and red raspberry leaf is helpful in reducing PMS symptoms. Tea is an offering from Mother Nature, and so helps connect us to the natural world. Many studies have shown that spending time in nature reduces stress and anxiety and promotes overall wellbeing. At a moment in history when we spend unprecedented amounts of time inside, looking at screens (a 2016 Nielsen Company audience report found that Americans spend over 10 hours a day consuming media), finding time to connect with the outside world is more important than ever. When you make a cup of loose leaf tea, you are bringing a piece of the outside world in. Our favorite part of the tea-making ritual is watching the leaves unfurl. It brings such calm and quiet to observe the leaves relaxing into the water, knowing that as they do, they are providing us with nourishment from the earth. Drinking tea can make us better listeners, to both others and ourselves. Tea leaves contain the unique amino acid L-theanine, which helps to regulate feel good hormones like serotonin and dopamine and create a state of calm alertness. When we sit to connect over tea in this peaceful, focused state, it allows us to be more tuned in and receptive to not only what our friend is saying, but what our own intuition and inner wisdom is saying. Tea is its own love language. A 2010 study found that deep, meaningful conversations (as opposed to small talk) are a key to happiness. The traditional Japanese tea ceremony, or Way of Tea, is about offering respect and gratitude, as well as creating harmony and tranquility. It is an invitation to slow down and mindfully attend to a process. For this reason, the ritual of tea is a simple yet profound way to show care and attention to a friend or loved one, both in the preparation of the tea itself, and in the space for deep conversation it creates. 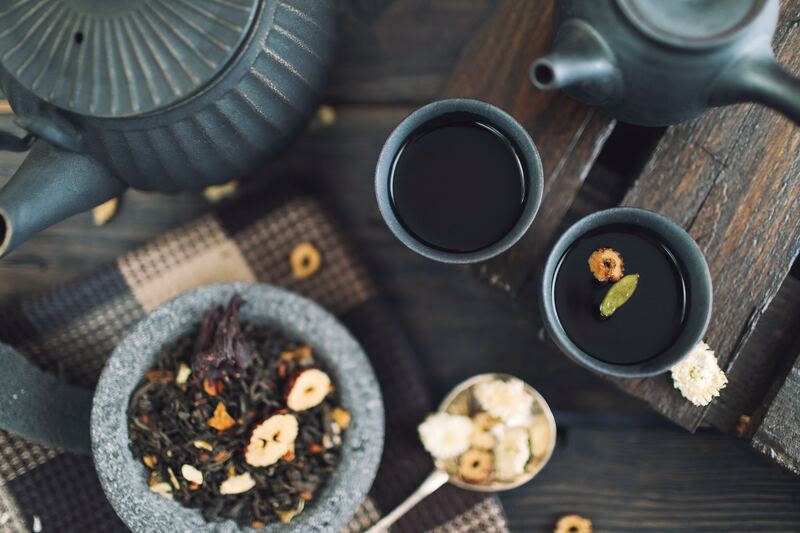 Tea is such a significant part of our lives and friendship, because it attends to our deep needs — especially as women — for calm and connection. We encourage you to invite the ritual of tea into your life, so that you can experience its wild magic for yourself. Laura and Kristena are Certified Tea Sommeliers, best friends, and co-founders of besteas., a lifestyle tea brand celebrating women, wellness, and the wild. Can Ancient Oracles Help You Live a More Authentic Life? Want to change yourself and gain confidence? Use some magic!